Happy Friday everyone. Another week has flown by!! How has your week been? It has been so cold here I have been wrapping up warm!! I hope you are keeping nice and warm!? 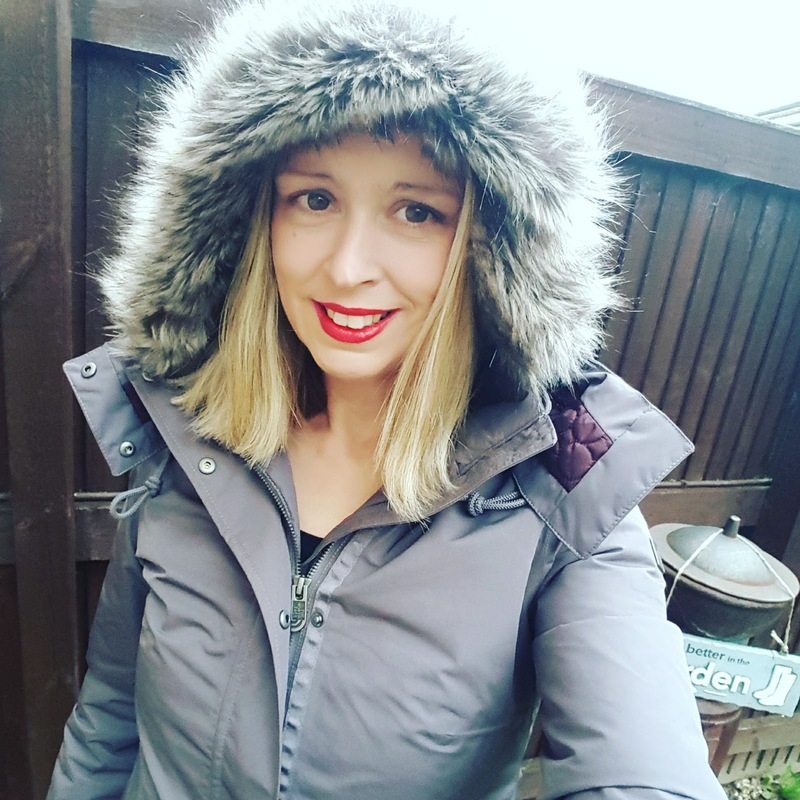 Loving this The North Face coat I reviewed here: Bring On The Cold Campaign. This jacket is so snuggly and warm. How cool is the hood too!? So furry it keeps all the cold out. Just what I needed asIhate being cold. My faux fur coat is also keeping me nice and warm!! Good old Converse. Perfect for wearing when we are doing lots of walking. My bright yellow tights are also causing some stares!! More on that next week!! 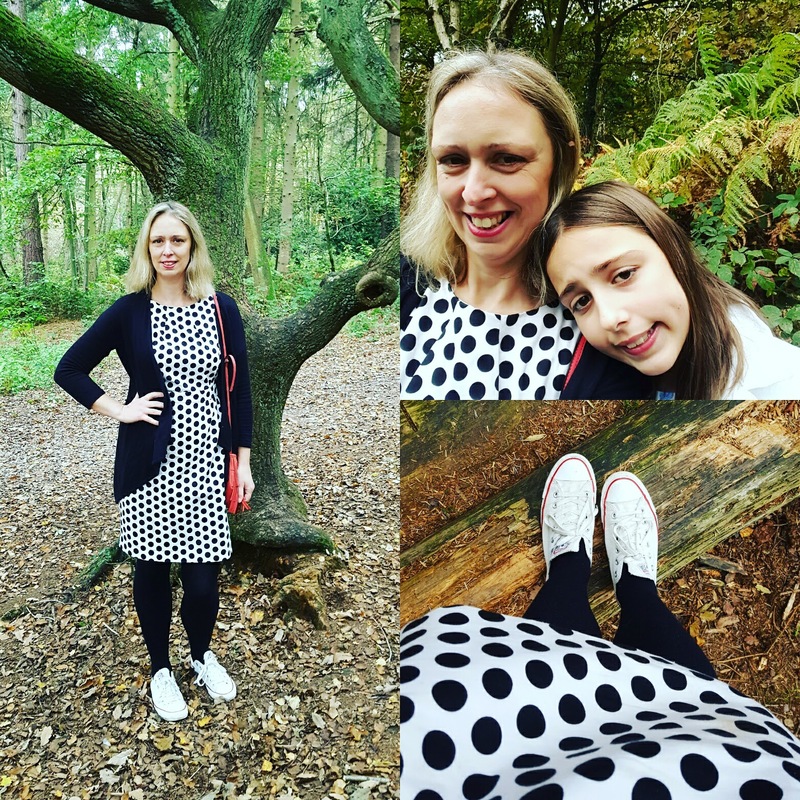 Love my polka dots ⠎⠉⠈⠇⠅I wore this for A Catch Up With My Boys and a breakfast treat out. 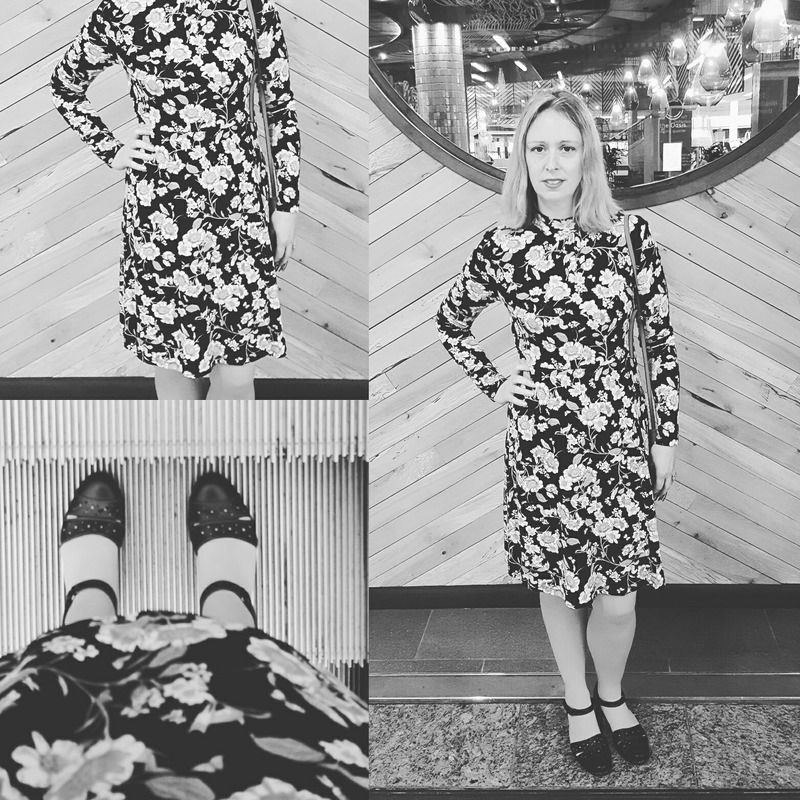 Are you looking for a new dress for the party season? 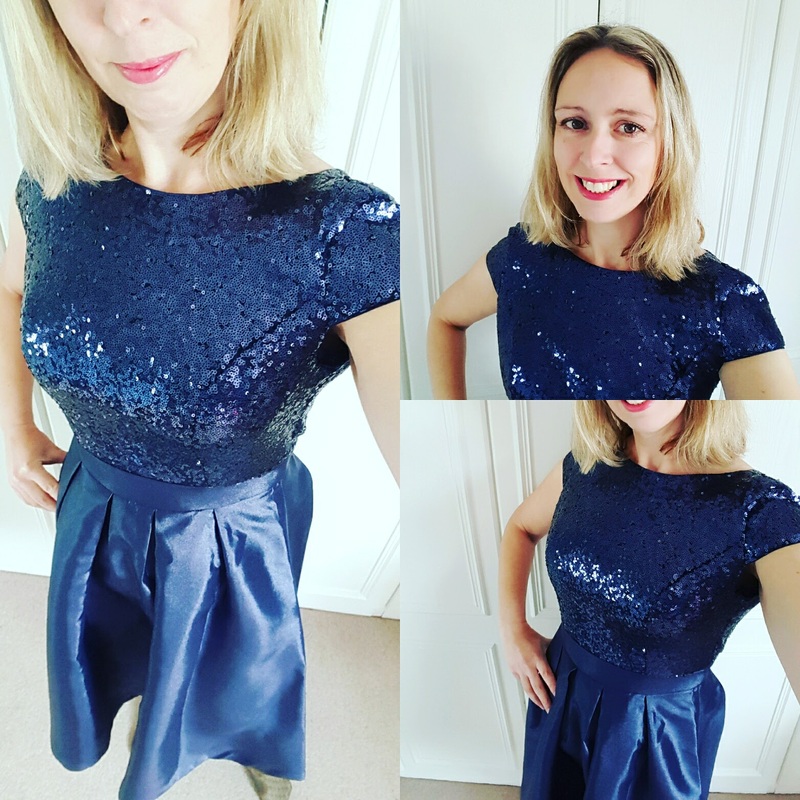 Check out this post: Sparkly- Dresses For Party Season? Quiz clothing have some lovely ones in for Christmas. Don’t forget it is Children In Need Today. I hope so. I am looking forward to reading the posts you share with us today. Please follow me, your host of the weekend blog hop. Please follow me your host of this linky party on Instagram, Twitter, Pinterest Google or Facebook. Link up straight to certain blog pages. You can add as many blog posts as you like!! Please include a link back to this post somewhere in your post. Or add the blog hop badge. 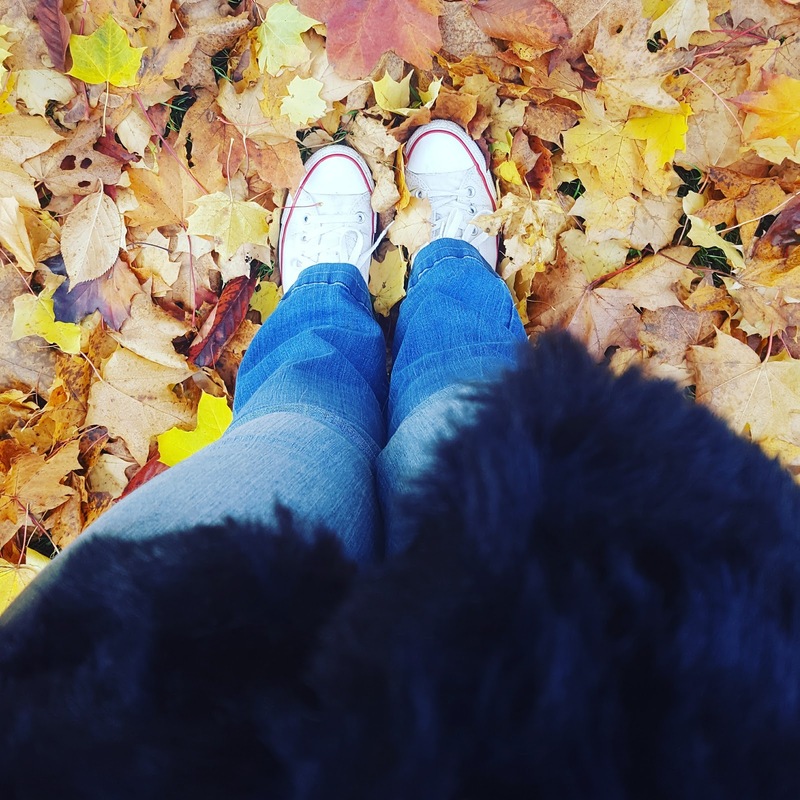 Have fun hopping around this weeks blog hop. "Gluten Free Festive Fruity Mincemeat Puddings.."
"Apple And Blackberry Breakfast Crumble With Pear And Cinnamon Custard"
Love that coat! North Face is the best! How cute are you in that jacket! Love the lip color too! Enjoy your weekend! Aww thanks Heather 🙂 Love red lipstick in Winter too..
That North Face jacket is just the best, isn't it? No need to complain about the cold when you are well dressed! Love the coat, I need something similar and that dress looks great for party season. Love my Northface black jacket. The warmest ever on a cold winter's windy day. Love that Pudsey Top! We've been fundraising today. My mummy likes the North Face jacket as well, the hood looks really warm and fluffy! Thanks for linking up to Top of the World Style. You look so young in that parka with hoodie! Each of your different looks are so cute! 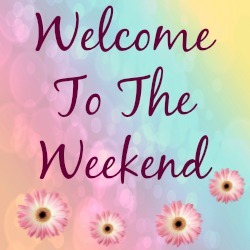 Thank you for hosting and hope you're having a fabulous weekend!